Before I get into my first post, I’d like to introduce myself. I’m Chris DiMinico, one of WindowFilmMag.com’s newest bloggers and president of AutoNuvo in Holliston, Mass. You’ll see my posts, which will mostly be about paint protection films (PPF), once a month. I’ve been in the adhesive tape/film business in one capacity or another for more than 20 years. I’ve seen the PPF business grow from its virtual inception, having held assorted positions from product manager/product development to executive with OEM manufactures, PPF distributors and installation companies. It’s been an interesting journey from what PPF was 20 years ago to its current market which has numerous OEM manufactures, types of films and pattern choices. AutoNuvo, a division of Protective Solutions, has been installing PPF as a company for more than 18 years, and we preach the importance of your vehicles’ appearance. A vehicle is one of the largest investments the average person makes in his or her lifetime; why not protect it? PPF is an ultra-durable, non-yellowing thermoplastic film coated with an ultraviolet (UV) stable pressure sensitive adhesive (PSA) that is virtually invisible when applied. 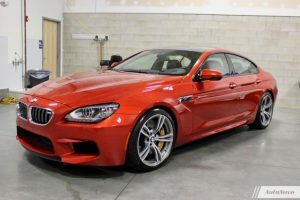 It’s designed to protect a vehicle’s painted surface from everyday road-rash and debris, as well as staining and micro-marring, while preserving the original appearance of a vehicle’s paint. The material was originally used by the U.S. Military to protect carbon fiber helicopter blades from debris that is stirred up during the landing process. How Does PPF Fit a Vehicle? 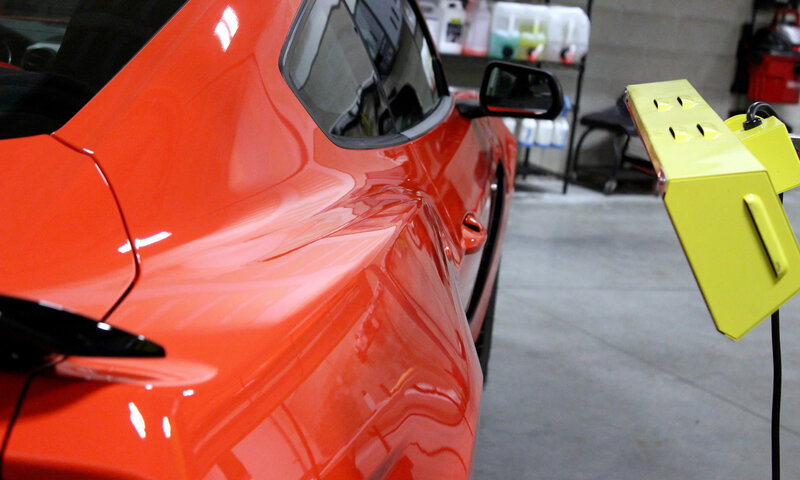 The film is applied directly to a vehicle’s clear coat; this is a wet application typically using a slip solution (soap/water) and a tack solution (IPA/water solution). The PSA bond to the clear coat will be achieved as the installer squeegees out the tack solution. It typically takes 24 to 48 hours for the PSA to fully cure and achieve its full bond. Today, there are numerous companies offering pattern software for PPF installers to “pre-cut” a specific vehicle pattern. This is done by the pattern/cutting company mapping the actual vehicle and then creating a 2-D pattern in its software. An installer can then plot out a “kit” on the film, creating the kit for the exact model he’s installing with PPF with the use of a plotter. Depending on the pattern/cutting software, the installer will have the ability to make adjustments to the pattern. As for customizing the kit, installers will cut to suit their own techniques and personal preferences. There are many that will hand-cut the entire kit on a vehicle or use some hybrid of both methods to achieve the most coverage and cleanest install. After all, it’s about achieving what will make the customer most satisfied. Thank you for taking the time to read my first blog and If you have any questions please do not hesitate to reach out at chris@autonuvo.com.